Mixed intensity wildland fire is and has always been a natural and ecologically beneficial process in conifer forests. Burning in a mosaic pattern, fire restores natural heterogeneity essential for an ecologically healthy forest. Patches of high intensity fire in mature and old forest create one of the richest forest habitat types (“complex early seral forest”), with abundant standing dead trees (snags), native shrubs, downed logs and naturally regenerating conifers essential to healthy and productive wildlife populations. 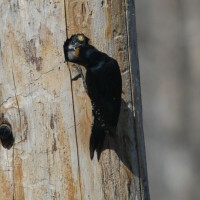 Blacked Backed Woodpeckers like their mature and old growth forest well done. Each bird eats over 13,500 wood boring beetle larvae per year to survive - this means lots of dead trees (over 100 per acre) covering a large area (approximately 300 acres per pair). 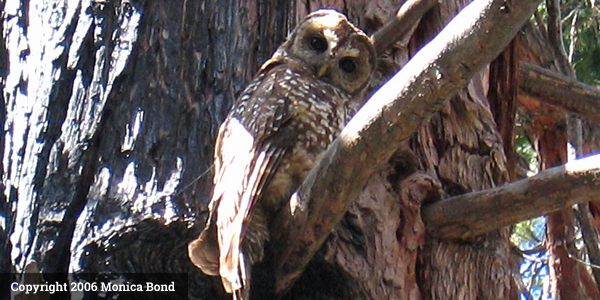 Spotted owls prefer unburned mature forest or mature forest that burns at lower intensity for nesting and roosting, but use mature forest that burns at high intensity to hunt the small mammals that they need to eat to survive. 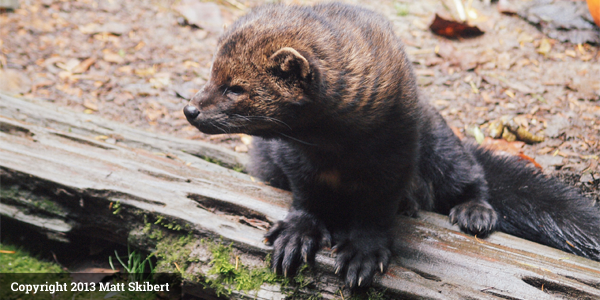 Without this habitat in their territories, populations decline. Once thought to avoid higher intensity fire areas, it has been found to select dense old forest in both its unburned state (for denning and resting) and after it is burned in a higher intensity fire (for hunting small mammals). 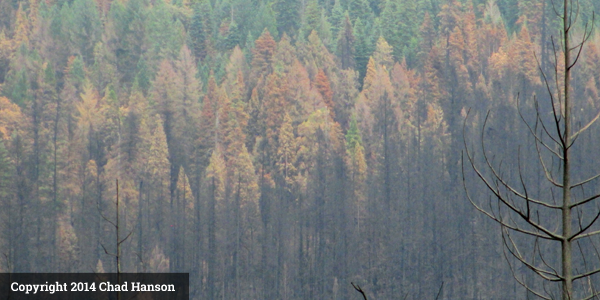 that dead trees do not increase the occurrence or intensity of wild fires? Or that Bark beetles are a native species and not an invading force? In fact, not only do dead trees and Bark beetles not increase fire risk, they are both essential to a healthy forest ecosystem. Native Bark beetles always exist in our forest, but at certain points in time, such as during a period of drought, these insects increase their numbers in order to weed out the less fit trees, creating snags (dead trees), and enabling the fittest trees with the best DNA to have the resources they need to survive. This creates a healthier, more resilient (able to survive the tough times) forest. Not only do Bark beetles improve forest health, they also increase native biodiversity. They themselves are a food source for many birds and even other insects, and the dead trees they create provide homes for cavity nesting birds and mammals and permit flowering and berry producing shrubs to germinate in the sunlight attracting even more species! This very rare bird depends upon large patches of habitat created when high-intensity fire burns in dense, old conifer forest. This habitat is only suitable for Black-Backeds for about 7-8 years after a fire burns, at which time they must find a newly created high-intensity fire area within 30 miles or so of their current home. The larger the high-intensity fire patch and the larger the trees the longer an area remains suitable. 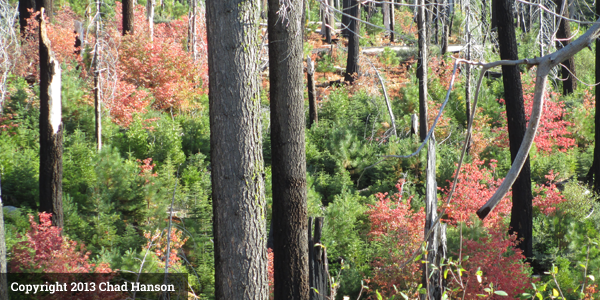 Post-fire logging projects eliminate their habitat and their presence in these areas. 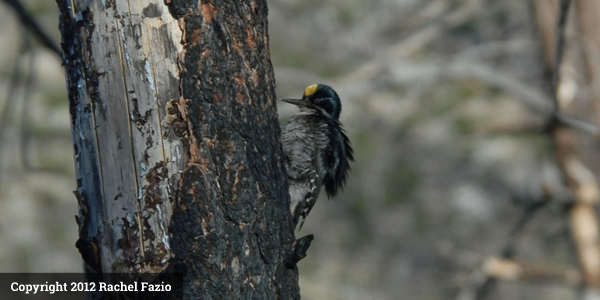 Black-Backed Woodpeckers are specifically designed to fit into the burned landscape. They are highly camouflaged, with their jet black backs protecting them from predators. They have only three toes, instead of four (one of only two bird species in North America with this feature) which gives them added heel mobility and enhanced strike force, making it possible for them to forage and excavate nest cavities in recently killed trees (otherwise known as hard snags). In fact they mate for life, and excavate one or more new nest cavities every year. They are quite simply the homebuilders of the burned forest as their unused or old nest cavities provide nests for other animals such as mountain bluebirds, nuthatches and flying squirrels, to name a few. 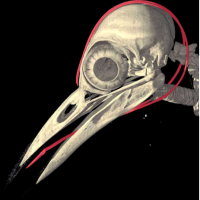 Because this woodpecker strikes dead trees (snags) which have not yet decayed with such force they evolved with fluid sacks in their skull which fill up before each strike (similar to an air bag in your car), protecting their brain from impact. Unfortunately there exist no protections for this unique and important animal or its habitat, which is why the John Muir Project and the Center for Biological Diversity have petitioned to have it protected under both the California and Federal Endangered Species Acts. shines on is beautiful, so long as it is wild.